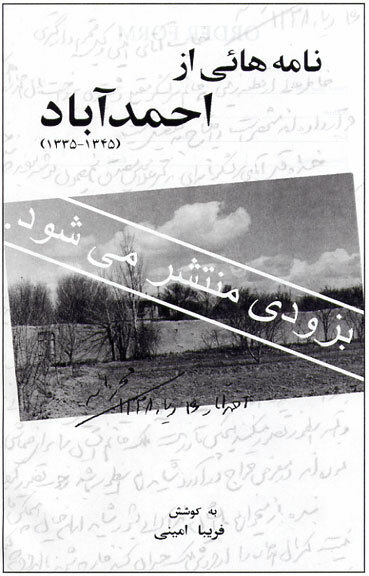 Namehayee Az Ahmad Abad, 1335-1345 (Letters from Ahmad Abad, 1956-1966, Press Xpress, Washington, DC, 2004. 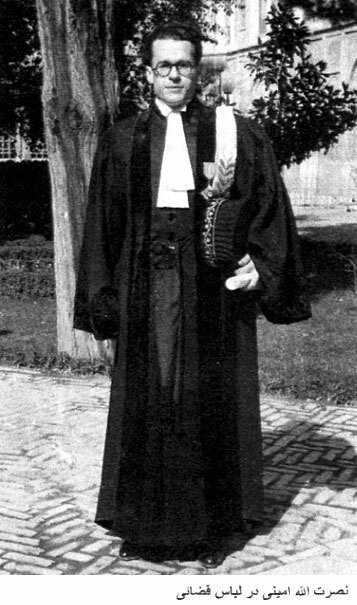 See cover) compiled and edited by Fariba Amini, is a collection of more than 100 letters written by the beloved Prime Minister Mohammad Mossadegh to Nosratollah Amini, former mayor of Tehran and Mossadegh's personal attorney. The letters (samples |1| |2|) have been published in their entirety, with explanations by Mr. Amini. The introduction reprinted here, details Mr. Amini's life and his close relationship with the Prime Minister. The book also includes photos never published before. If you would like to order this book send a check or money order to: F. Amini c/o EJI PO Box 813 Herndon, VA 20171, $17.00 for postage and shipping add $3:00 in the USA.